Wealth of extreme sports and a vibrant hight-time scene are waiting for you. 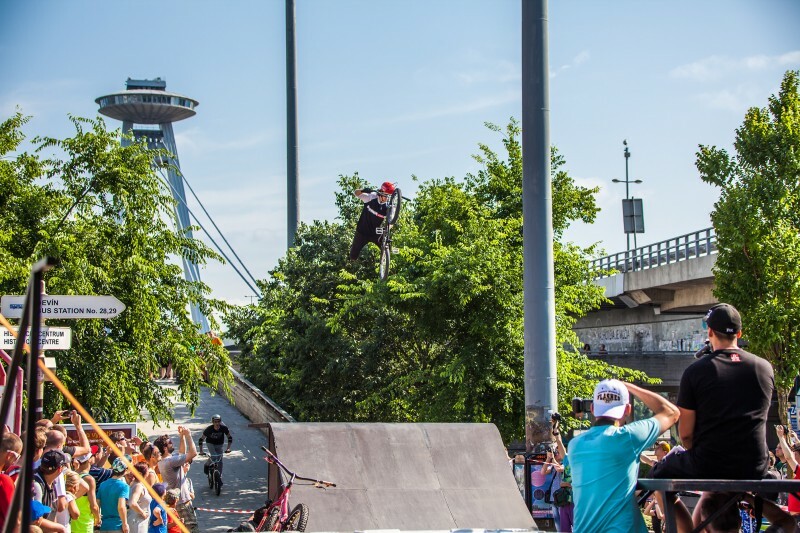 While some come to Bratislava to explore the capital’s historical monuments, cultural sites and exceptional architecture, if you want an adrenalin shot on your trip to Bratislava, a wealth of extreme sports and a vibrant night-time scene are waiting for you. Try viewing the city while hanging from an elastic cord over the Danube, or tumbling down a hill in a giant plastic ball. Those with the most courage may bungee jump from Bratislava’s Lafranconi Bridge, a 25-metre-high plummet towards the water. The jump will certainly juice up the adrenalin level and the jumper won’t even get wet. The same cannot be said of the experiences on offer at Čunovo, Slovakia’s paradise for water sports, where visitors are invited to paddle their way down a number of courses of rapids. The area known as Divoká Voda was established in 1995 and since then has hosted many prestigious European and world canoeing and kayaking events. 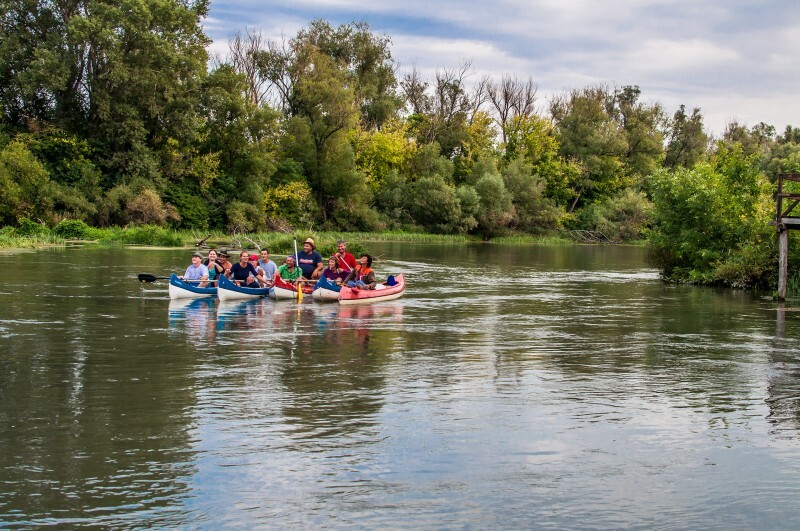 No other place in Slovakia offers a better rafting ride than Čunovo, and newcomers are as welcome as the experienced. One-hour raft trips are available with five other people and an instructor. Rafting demands cooperation from its participants and respect for all the safety rules. 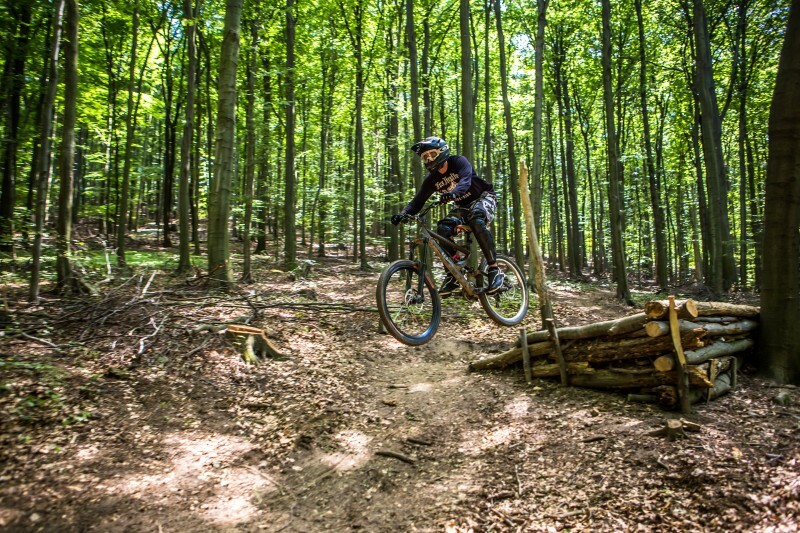 Not far from Divoká Voda is Action Park, another centre of extreme and unusual sports. Here the adventurous adrenalin-nut can try “zorbing”–roughly the equivalent of standing in a giant bubble and running down a hill. Bratislava is one of the few cities where the forests start right in the city. 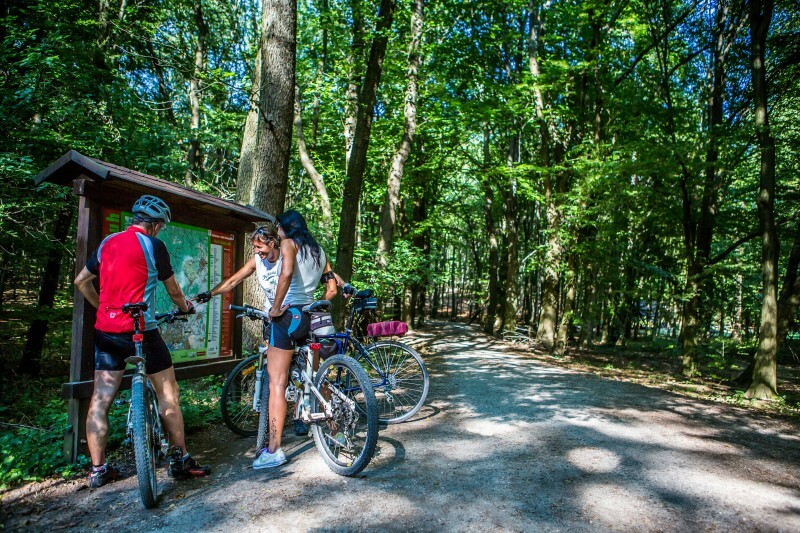 The Kamzík Hill (440m), accessible by car or the 203 trolleybus from the Crowne Plaza Hotel, is the starting point for pleasant bike trips and hiking and also an excellent site for a picnic with friends. There is a popular summer bobsleigh run and in winter a ski slope which also offers an opportunity for sledging. 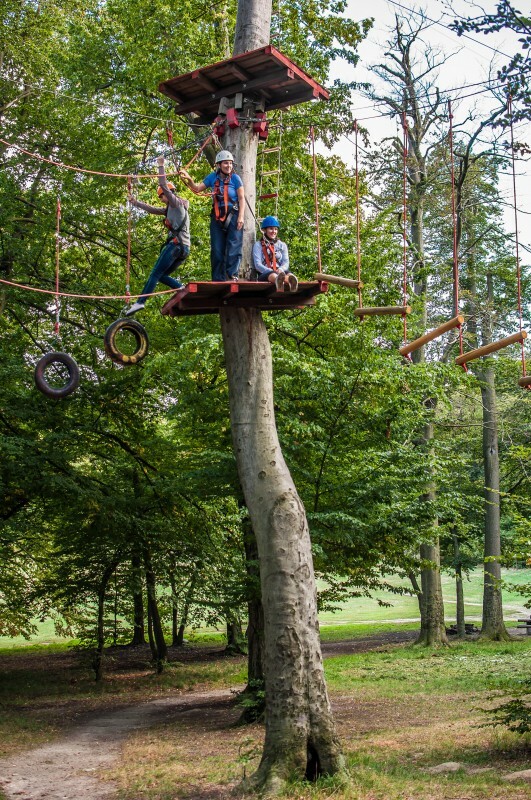 Just next to the bobsleigh run is a ropes course among mature tall trees, ideally suited to active recreation and adventure. Here, you can push yourself to your limits. One of the sports that Slovaks never leave the Olympic Games without medals is white-water slalom. This is in part due to the artificial water canals with white- water. 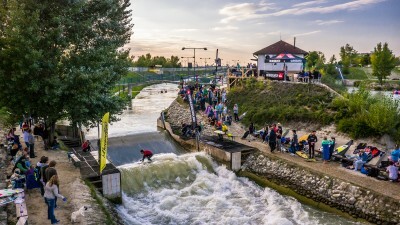 One of highest quality white-water centres in Europe, where world championships take place, was constructed on the Danube near the village of Čunovo in the southern part of Bratislava. The two parallel watercourses with their regulated volume of water, waterfalls and boulders are frequently used by the public for rafting. All the necessary equipment is available for hire in the area. A new centre for keeping you in a healthy condition can be found opposite the Aupark shopping centre. At Fitfactory you can expend your energy and then have it restored. A swimming pool, the biggest fitness centre in the whole of Slovakia, saunas and whirlpools, an indoor golf course and many other attractions are to be found under one roof. Your children will be well looked after in the indoor children’s playground and you can regain whatever energy you have used in an organic restaurant. Although Slovakia is a small country, it possesses a large number of excellent tennis players and tennis is one of the most popular sports. Tennis courts are to be found scattered all over the city. The newly-built National Tennis Centre offers not only top-quality conditions for tennis tournaments, such as the Davis Cup but also for other sports and cultural events and its facilities are open to the public. Part of the NTC is a well-known tennis school. That Bratislavans are sport-loving and active people is obvious to anybody visiting the Danube embankment on a summer afternoon. A particularly popular section of the embankment begins by the Old Bridge where thousands of activity-loving people on their bikes or roller- blades can be found. The embankment runs along the river and leads you out of the city and how far you go is up to you. Usually, people get to the city limits – an artificial white water canal in Čunovo 17 km from the city and then they turn round. Železná studnička (the Iron Well) is a beautiful valley on the Western side of the Kamzík Hill (See p. 123). It is famous for several ponds which freeze over in winter and become a paradise for amateur figure skaters and ice hockey players. All along the valley are wooden shelters and open-air fireplaces ideal for a family picnic. The surrounding meadows and woodland attract bikers in summer and cross-country skiing enthusiasts in winter. 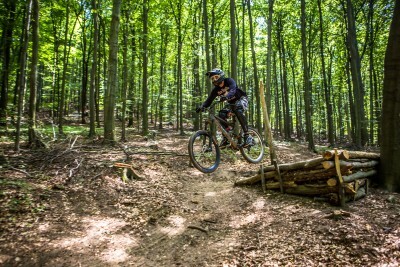 The valley is connected with the top of the Kamzík Hill by a chair-lift that also accommodates bicycles. Automobile racing enthusiasts will come into their own at the Slovakia Ring circuit, which is one of the longest in Europe. Just 30km from Bratislava you can rent a sports car and get a taste of what it’s like behind the wheel, or just be a passenger in the Race Taxi. Devotees of this relaxing sport will find the very well-equipped Brunswick Bowling Club on the second floor of the shopping and entertainment centre Aupark. The Bratislava Golf & Country Club in the village of Bernolákovo just 16 km from the city offers the closest opportunity for golfing relaxation. The 18- hole golf course lies in the historic park of the baroque chateau set in the beautiful countryside. Ice hockey is probably the most popular sport in Slovakia; its popularity is perhaps partly due to international success. However, ice hockey is not just a spectator sport. A number of people play it with their friends on frozen lakes in winters and in stadiums all the year round. There are three roofed stadiums in Bratislava providing facilities to the public, of which the Ondrej Nepela Stadium on Odbojárov street is the biggest. It is the home stadium for one of the most successful ice hockey clubs in Slovakia – Slovan Bratislava.